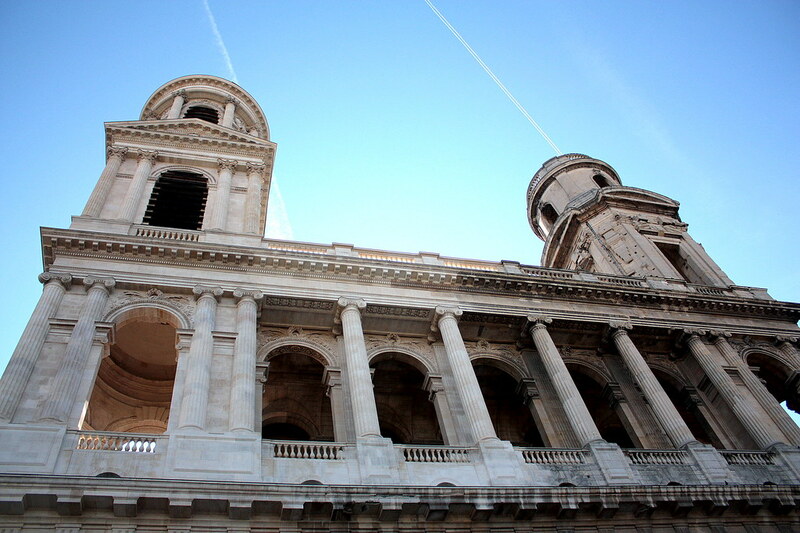 Eglise St-Sulpice, officially the first stop of our Paris trip. 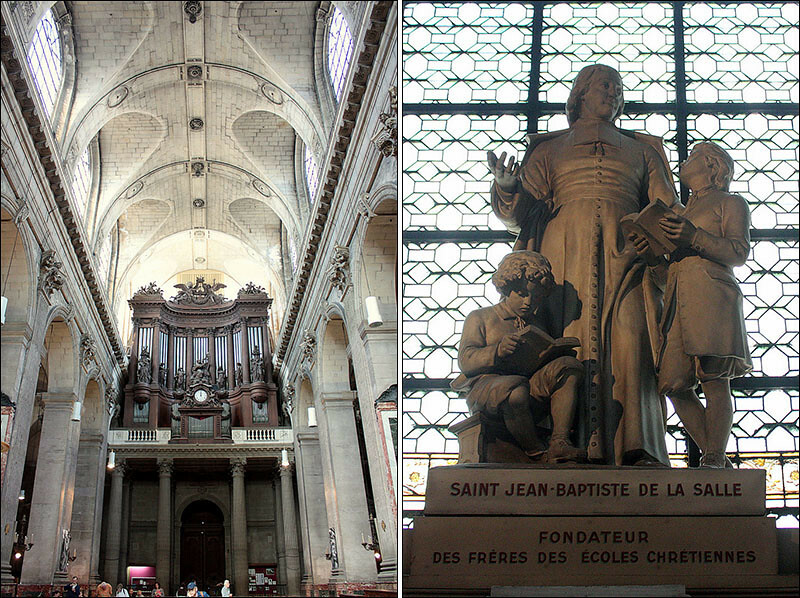 We took the metro from our flat on the 13th arrondisement to the St-Sulpice metro stop and walked to the church. It was a Sunday and we meant to hear mass as well. I’ve taken a slight fascination with Eugène Delacroix, mainly because of Liberty Leading the People / La Liberté guidant le peuple (you know, from that Coldplay album cover)– for a time it was on my bucket list and a few days into our trip I finally saw the real thing at the Louvre. 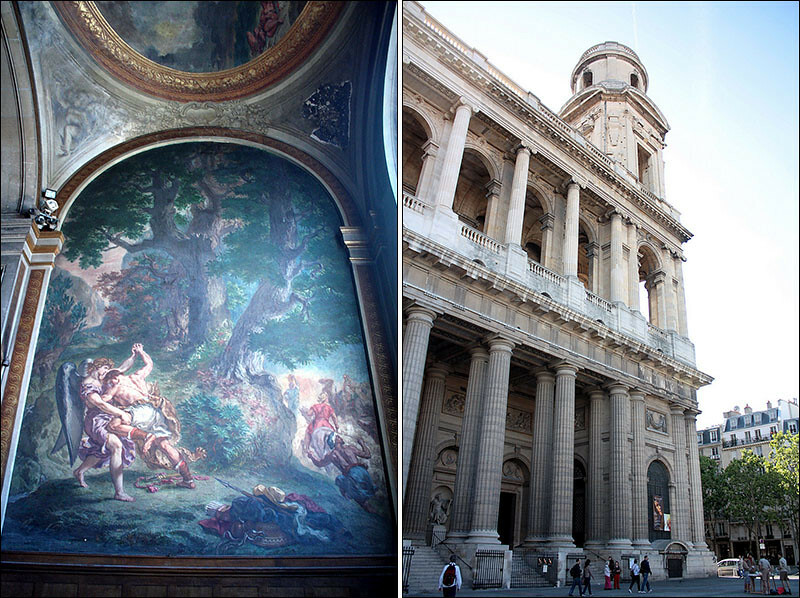 This church has plenty of his paintings, which he managed to complete just before his death, while battling illness. 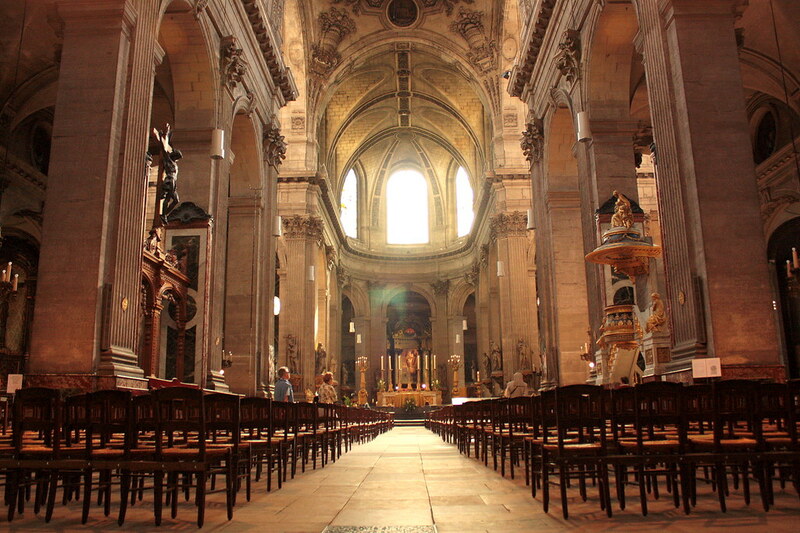 Another thing that St-Sulpice is famous for is its mention in the Da Vinci Code. I’ve read this book many years ago and I barely remember anything about it now, only the fact that it was entirely believable to the common person. Most Dan Brown fans come here to see the meridian line / gnomon, which is actually a 16th century astronomical device that tells exact time of the Summer and Winter Solstice; but in truth, it does not actually follow the mythical “Rose Line.” The church even posted a warning of this false claim. We also stayed a bit after mass for the organ concerto. Pardon my untrained ear, but it sounded to me like the kind of music one would play in a film while Dracula is about to bite into the fleshy bosom of a young maiden. Or something like that.